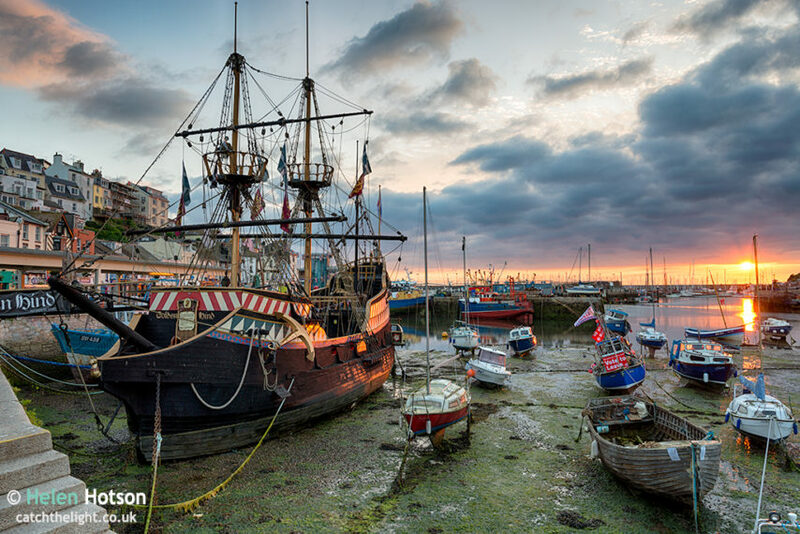 A full sized replica of Sir Francis Drake’s ship the Golden Hind moored at Brixham on the south coast of Devon. Download this image for web use and for prints up to 30″ x 24″ or larger. Downloaded images do not contain watermarks and are 300 dpi for high quality printing. All images and content © Helen Hotson 2012 -2017 - Please see the About page for image licensing.